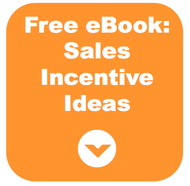 Stressing about choosing the right incentives to motivate your sales team? We’ve got a better idea: Take a few minutes to check out this infographic instead. Then simply choose from one of the 3 types of sales incentives it illustrates. Oh, and get ready for a motivated team. Motivating your sales team doesn't have to be stressful. You can start with the 3 types of sales incentives listed on this infographic.